The Academy's Scientific Advisory Committee is an international group representing multiple clinical and research disciplines. The SAC meets once a year at the annual 'TRAC' meeting to present their research on Performance Health products including TheraBand, Biofreeze, and Cramer Sports Medicine brands. 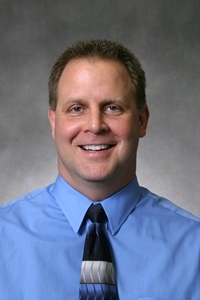 Dr. Alexander is an associate professor of kinesiology at Penn State University. Her research is in the area of human thermoregulation and the neurovascular control mechanisms regulating skin blood flow with primary human aging, essential hypertension, and atherosclerotic vascular disease. In her current studies Dr. Alexander uses in vivo and in vitro approaches to study the effects of vascular pathology on microvascular function in humans. She has contributed to the literature in this area with recent publications in The Journal of Physiology, The American Journal of Physiology, The Journal of Applied Physiology, and Hypertension. She currently has funding from the NIH and Dairy Management Inc.
Dr. David Behm is a university research professor in the School of Human Kinetics and Recreation at the Memorial University of Newfoundland. David has an extensive research portfolio with over 250 articles published in peer-reviewed scientific journals. Dr. Behm was awarded the 2015 Canadian Society for Exercise Physiology Honour Award, NSCA WJ Kraemer Sport Scientist of the Year, fellow of the European College of Sport Sciences amongst other distinctions.He has collaborations with researchers on five continents and presents internationally on a regular basis. His research focus has been to investigate neuromuscular responses and adaptations to resistance training, instability, stretching and other activities. David integrates his theoretical work with a background as a competitive athlete and coach in a variety of sport such as football (drafted in Canadian Football League), hockey (Canadian junior hockey), baseball, tennis (provincial champion), squash (provincial champion) and others. Dr. Tony Brosky is a Professor of Physical Therapy and Dean of the School of Movement and Rehabilitation Sciences at Bellarmine University in Louisville, Kentucky. He received his entry-level Bachelor's degree ('87) and a post-professional Masters in Orthopaedic Physical Therapy ('96) from the University of Kentucky. He received his Doctor of Health Science ('10) from the University of Indianapolis where his research investigated the effects of pre-habilitation on selected pre and post-operative outcome measures in patients with knee osteoarthritis and total knee arthroplasty. 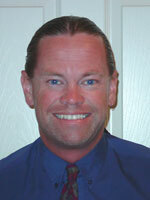 He is also Board Certified (American Board of Physical Therapy Specialties) in Sports Physical Therapy. His teaching, clinical and research interests are in the examination and rehabilitation management of lower extremity musculoskeletal conditions. Dr. Button completed his bachelor and master degrees from the School of Human Kinetics and Recreation, Memorial University of Newfoundland (MUN). Following his masters, Dr. Button received a Ph.D. in 2008 from the Spinal Cord Research center, Department of Physiology, University of Manitoba. Currently Dr. Button is an Associate Professor at the School of Human Kinetics and Recreation, Memorial University. Dr. Button has over 50 peer-reviewed publications on how the nervous system responds to acute and chronic activity or lack thereof. He also has extensive experience in personal training and fitness testing. He is a course facilitator for the Canadian Society for Exercise Physiology Certified Exercise Physiologist and Certified Personal Trainer certification programs. <="" img="" src="http://www.thera-bandAcademy.com/elements/clients/images/Colado-headshot-2019__636854790591280028.jpg" width="200" height="198" /> Dr. Colado received his PhD in Physical Education and Sport. He has been given a professional award by the Spanish Fitness Industry. He is currently a faculty member in the Department of Physical Education and Sport, Director of the Research Group in Sport and Health at the University of Valencia (Spain). Dr. Colado is an international presenter and master trainer of teachers and professionals since 1998. He has authored several books and scientific articles about physical conditioning and is a scientific reviewer of international journals. He continues to be a scientific and technical advisor in leading companies in the field of physical conditioning equipment for fitness and wellness. Dr. Ellenbecker is a physical therapist with Rehab Plus Sports Therapy Scottsdale Previously, he was Clinic Director and Director of Clinical Research for Physiotherapy Associates Scottsdale Sports Clinic for 23 years.He is also the Vice President of Medical Services for the ATP World Tour.He received his degree in Physical Therapy from the University of Wisconsin-LaCrosse in 1985 and a master's degree in Exercise Physiology from Arizona State University in 1989.He completed his Doctor of Physical Therapy from MGH –Institute of Health Professions in 2006.In addition, he is certified as a Sports Clinical Specialist, and Orthopaedic Clinical Specialist by the APTA.He is a Certified Strength and Conditioning Specialist by the NSCA and was awarded their Sports Medicine Professional of the Year in 2003.He is a certified USPTA tennis teaching master professional, and was Chairman of the USTA National Sport Science Committee for 12 years, serving on the committee for more than 30 years. He received the Turner A. Blackburn Hall of Fame/Lifetime Achievement Award from the Sports Physical Therapy Association in 2011.Ellenbecker is a manuscript reviewer and editor for several journals. He has conducted, published, and presented research primarily on upper extremity athletes, as well as shoulder and elbow rehabilitation.His main focus of research has been on musculoskeletal adaptations in elite level tennis players and overhead athletes. He is the author/editor of 15 books, over 75 book chapters and has published over 55 peer reviewed articles in scientific journals. Dr. Joe Gallo earned his BS in Physical Education and Athletic Training and his Master’s in Physical Therapy. He also holds a Doctor of Science degree in Physical Therapy. He currently serves as Director and Professor in the Salem State University Athletic Training Program. He has also held faculty appointments in various physical therapy and physical therapist assistant programs in his over 20 year career as an educator. He has taught over 300 continuing education workshops to rehabilitation specialists across the United States. Joe’s research on electrophysical agents has been published in the Journal of Orthopaedic and Sports Physical Therapy, and the Chinese Journal of Sports Medicine. Dr. Greenstein is the CEO of the Kaizo Health / Kaizo Clinical Research Institute, a multi-location, multi-disciplinary, evidenced-based practice in the Washington DC Metro region. He is also the President and Founder of the Kaizo Health / Kaizo Clinical Research Institute a 501-c3 dedicated to high quality, clinical research. He serves on the CCGPP as the Vice Chair and represents CCGPP on the Chiropractic Summit and the Government Relations Committee. He is also the past Public Relations Chairman for the Virginia Chiropractic Association, and is the past Insurance Chairman for the Maryland and Virginia Chiropractic Associations. 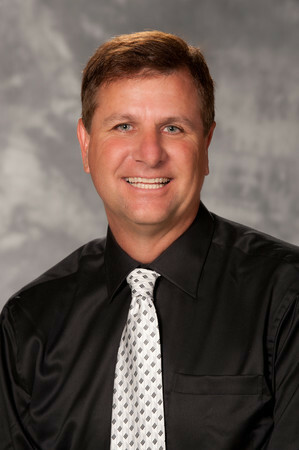 He was Chiropractor of the Year in 2010 for both state associations. His experience provides him with unique insight as he consults on the importance of evidenced-based care, presenting the right message to the public and ensuring optimal and efficient operations to effect expedient payment for services. In addition to taking post graduate courses at the University of Pennsylvania’s Wharton Business Schools, he is trained as a Green Belt in Six Sigma Quality Assurance Management. Dr. Greenstein sits on multiple community and business advisory boards in healthcare, banking and information technology. Dr. Mike Holmes is an Assistant Professor in the Department of Kinesiology at Brock University where he holds an NSERC Tier II Canada Research Chair in Neuromuscular Mechanics and Ergonomics. His research program investigates how muscle recruitment and control strategies influence tissue loading and injury risk, with a primary focus on the upper extremity. His lab integrates neurophysiology with biomechanics techniques to better understand work-related musculoskeletal disorders by identifying mechanisms of fatigue, injury and pain. The lab aims to optimize human performance at work and sport by developing recommendations to minimize the risk of injury and maximize performance. Dr. Hoogenboom is a professor and an associate program chair at Grand Valley State University, in the Department of Physical Therapy. She began her education in physical therapy receiving a certificate from Cleveland State University, then a Masters Degree in Health Sciences from Grand Valley State University, and a Doctorate in Educational Leadership from Eastern Michigan University. She was one of the first Board Certified Sports Clinical Specialists in West Michigan in 1993, and has since been recertified twice by the ABPTS, most recently in 2013. She has been a Certified Athletic Trainer since 1988. She maintains a clinical practice by volunteering at the GVSU Pro Bono clinic. 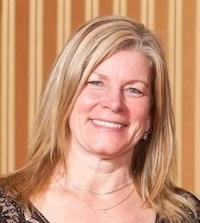 Barb is a member of the American Physical Therapy Association and a member of the American Academy of Sports Physical Therapy, where she has been honored with the Academy's highest award, The Ron Peyton Award, and is also a member of the Turner A. Blackburn Sports Physical Therapy Hall of Fame. She also received the "Lifetime Excellence in Education" award from the AASPT. She is a member of the Female Athlete Triad Coalition, and The Orthopedic Society for Sports Medicine. Barb enjoys clinical research, and has authored many research and clinical commentary articles on the female athlete, nutrition, functional movement, and movement analysis. She has contributed to 10 textbooks and 5 Home Study Courses on various musculoskeletal topics. 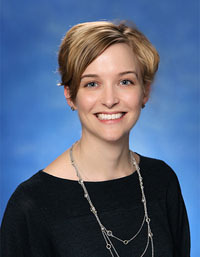 She is the editor of the therapeutic exercise textbook entitled "Therapeutic Exercise: Techniques for Intervention" the third edition of which was released in 2014. She is also the Senior Associate Editor for The International Journal of Sports Physical Therapy. Andre Labbe PT, MOMT works at Tulane University as an instructor for the School of Medicine, Department of Orthopedics in New Orleans, Louisiana. He is Director of Rehabilitation and Return-to-Play for Tulane Athletics. He is also the Director of Outreach for Tulane Institute of Sports Medicine, where he is responsible for maintaining and developing sports medicine outreach throughout the Greater New Orleans area and surrounding parishes. Andre graduated from PT school from LSU, School of Medicine in New Orleans. He received his Masters in Orthopedic and Manual Physical Therapy through the Ola Grimsby Institute. Andre has also studied the concepts of muscle imbalance and application of developmental kinesiology under Dr. Vladimir Janda MD. Andre directed 3 outpatient HealthSouth clinics in the greater New Orleans market for 7 years before beginning his own private practice. During that time, he worked with professional golfers as part of the PGA health team. In 2012, he worked for the New Orleans Saints Athletic Training department as a physical therapist, focusing on post-op rehabilitation and return to play, and transitioned to Tulane University in a similar capacity today. Andre's main clinical focus is restoring players to full function and applying rehab concepts for sports performance and injury prevention. He was recently invited to participate in the ICCUS Society, a group of leading clinicians, educators, and researchers with the goal of advancing the field of sports rehabilitation. Andre remains active both with research and education with Performance Health, focusing on the application of exercise in the treatment of acute and chronic pain, and has served on their scientific advisory committee (TRAC) for over 20 years. Dr. Rogers is a professor of exercise science and director for the Center for Physical Activity and Aging at Wichita State University. His research focuses on developing evidence-based programs to improve balance, strength, and function in older adults. He is regularly invited to present on these programs in North America, Europe, and Asia. He is a fellow of the ACSM and the Active Aging Association of Japan, as well as a certified strength and conditioning specialist. 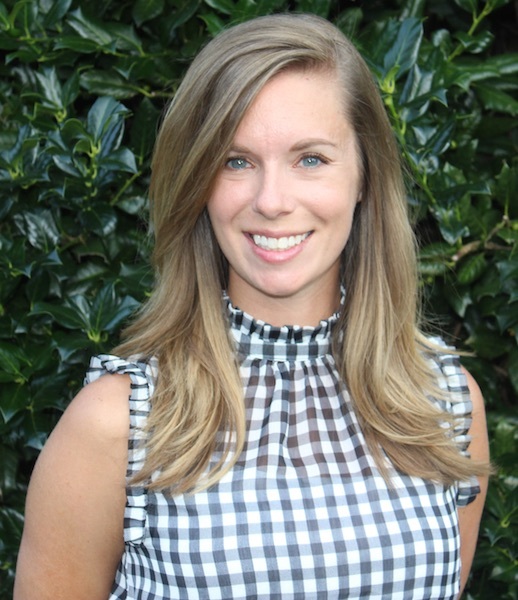 Mrs. Slaski graduated with a BS in Kinesiology-Athletic Training from Penn State University and a Master’s of Science in Education from Old Dominion University. As an Athletic Trainer, she has worked with nationally ranked NCAA Division I teams and attended various NCAA tournaments. Mrs. Slaski is the Director of Research & Innovation for Kaizo Health / Kaizo Clinical Research Institute, focusing on injury prevention, best practices, effective treatment techniques, product efficacy, and concussion evaluation and treatment strategies. As a researcher, she has worked on various United States Military projects, conducted lower extremity biomechanics research, and evaluated brainwaves in concussed student-athletes. She is a licensed Certified Athletic Trainer in Virginia and Maryland. Dr. Stewart, co-director of the Sports Medicine Program, is board certified in Physical Medicine and Rehabilitation and has been involved in various aspects of sports medicine for more than twenty years. He is an Associate Professor of Orthopaedics at the Tulane University School of Medicine. He is an Advisory Member of the National Athletic Trainer's Association and the Louisiana Athletic Trainer's Association. He is also a Fellow of the American College of Sports Medicine. Dr. Stewart currently serves as a Team Physician for the Tulane Department of Athletics. He is the Director of Sports Medicine for St. Charles and Plaquemines Parishes. He was invited to assist in the first Combine of the World League of American Football and arranged physician coverage for the Tenth National Veterans Wheelchair Games in New Orleans. He served as the Team Physician for the New Orleans Night Arena Football Team and participated as a member of the Medical Staff in the 1991 United States Olympic Track and Field Trials in New Orleans. He is the current Director of Education for the Louisiana Sports Medicine Society and sits on the Sports Medicine Committee of the Louisiana State Medical Society. Tim is physical therapist in private practice in New York. He is also a Clinical Research Associate at the Nicholas Institute of Sports Medicine and Athletic Trauma at Lenox Hill Hospital. His research interests include developing new objective measurements and evidence based rehabilitation guidelines. He has been published in several journals and texts. Dr. Voight has been both an educator and clinical physical therapist for over 30 years. 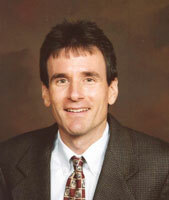 Presently, Dr. Voight is a tenured professor with Belmont University’s School of Physical Therapy in Nashville TN. He also holds a position of Adjunct Associate Professor in the Vanderbilt School of Medicine – Department of Orthopedics where he is the Co-Director of the Vanderbilt/Belmont Sports Physical Therapy Residency program.Dr. Voight has served as a Team Physical Therapist in the NFL NBA. In addition, he has consulted with various teams in MLB, NHL and the MLS. He has worked at the Olympic Training Center, Olympic Festivals, Pan Am Games, Olympic Games, as well as with many noted golf PGA Tour Professionals. Dr. Voight maintains a clinical practice at the Nashville Hip Institute, specializing in orthopedic and sports related injuries particularly with PGA tour players, and serves on the advisory board of the Titleist Performance Institute. Dr. Voight has lectured extensively at various conferences, symposiums, and congresses both nationally and internationally having given over 900 professional presentations on a variety of orthopedic and sports medicine topics. Dr. Voight actively resides on the editorial boards of several different journals. 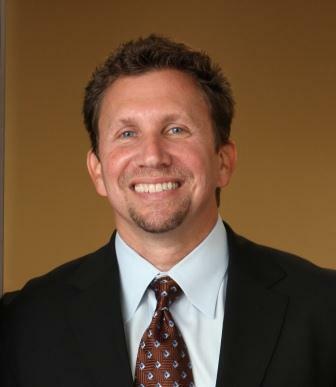 He is currently the Editor-in-Chief of the International Journal of Sports Physical Therapy. He has authored over 80 papers, textbook chapters on various topics, and has written three textbooks on functional exercise. He has won several professional awards, including the Distinguished Educator Award from the Sports Physical Therapy Section, the inaugural SPTS Lifetime Excellence in Education award, and the SPTS distinguished service award, Ron Peyton Award, and Presidents Award for his dedication to service. In 2010, Dr. Voight was selected into the SPTS Hall of Fame for a lifetime of excellence in sports physical therapy. His many accomplishments were again validated in 2011 when the American Physical Therapy Association presented Dr. Voight with their highest honor, naming him a Fellow of the APTA. In 2018, Dr. Voight was given the honor of being in the inaugural Titleist Performance Institute Hall of Fame for his achievements in the golf industry.Dr. Voight is an active member in numerous medical societies (AOSSM, ISHA, ESSKA, ISAKOS, ISHA) and was one of the founding members of the ICCUS Society. He remains extremely active in patient care, education, and research activities. Dr. Wang is Professor and Head of Department of Rehabilitation Medicine in The Sixth Affiliated Hospital of Sun Yat-sen University, Adjunct Prof. of Zhejiang University and supervisors on PhD program in Shanghai University of Sports and master program in Guangzhou Sports University. Currently, he is the President of Chinese Physical Therapy Association and Chair of China's Board of Accreditation and Examination for Physical Therapists. He obtained his undergraduate degree in sports rehabilitation from Shanghai Sports University and received his masters degree of public health in Sun Yat-sen University. He graduated from the Dept. of Rehabilitation Sciences in The Hong Kong Polytechnic University for his PhD degree. He is continuing his research interests on the mechanism of pain, exercise science and sports injuries. He also extends on developing the VI and AI system in exercise training and brain plasticity. 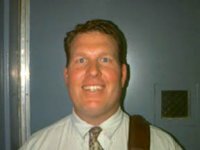 He is on the editorial board of Journal Physical Medicine, Rehabilitation & Disabilities, Journal of Performance Health Research, and Chinese Journal of Rehabilitation Medicine (CN) and reviewer for of Journal of Sports Science and Medicine, Biomedical and Environmental Sciences, BMJ Open and International Journal of Environmental Research and Public Health.